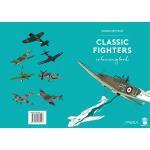 Classic Fighters Colouring Book :: Wydawnictwo Stratus sp.j. 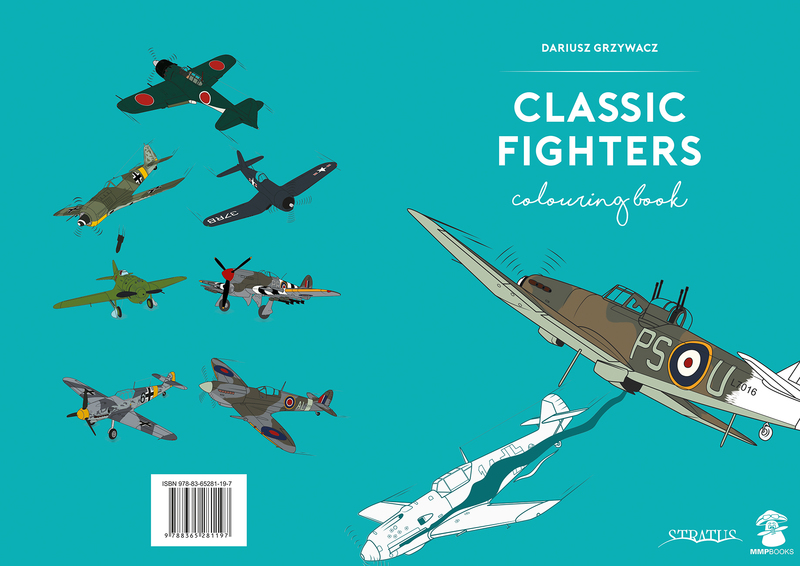 A colouring book featuring 15 accurate, authentic renderings of classic fighter aircraft from the Mushroom Models archive. The illustrated pages also feature captions with detailed technical data and scale plans. * Hawker Hurricane; * Messerschmit Me 163 Komet; * Focke-Wulf Fw 190; * Grumman Hellcat & Ki 61; * Boulton Paul Defiant; * Messerschmitt Bf 109 E; * Lavochkin La-5FN; * F4U Corsair; * Polikarpov I-16; * Bell P-39 Airacobra; * Supermarine Spitfire; * Hawker Typhoon; * Messerschmitt Bf 109 G; * Mitsubishi A6M5 Zero; * Mikoyan Gurevich MiG-15; * Messerschmit Me 262 A Schwalbe. Mushroom Model archives feature superb aircraft illustrations of camouflage and markings and detailed scale plans for modellers. This is a new diversion for young aviation enthusiasts and scale aero-modellers.